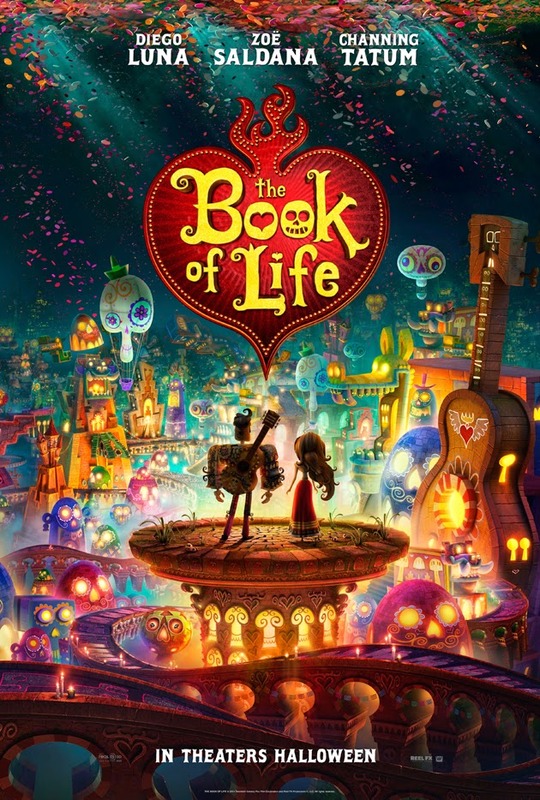 This is the first trailer for The Book of Life, an animated comedy film produced by Guillermo Del Toro, written and directed by Jorge Gutierez and starring Zoe Saldana, Diego Luna and Channing Tatum. This trailer is beautiful, stunning and hilarious. Chech it out below. 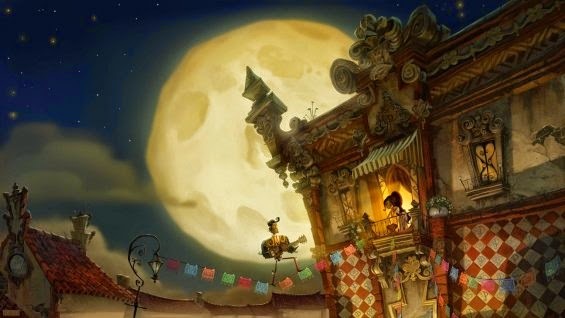 The story focuses on the romantic, strong-jawed Manolo, who has big problems besides the growing competition with his best friend. Manolo dreams of breaking away from his family's rich history of bullfighting to play the guitar, much to the dismay of his father, the world's greatest matador (Hector Elizondo) and super-macho grandfather (Danny Trejo). This journey takes him from the Land of the Living to the Land of the Remembered, where people who have lived complete lives, and are remembered among the living, go after they die. A final, daunting destination is The Land of the Forgotten, where those who have died with unfulfilled lives dwell. Along the way Manolo meets his bullfighter great-grandfather, who always wanted to be an opera singer (Placido Domingo) but never followed his dream. There are also wild characters including Candle Maker (rapper Ice Cube), an ancient god with a body of wax and a beard made of clouds.